Truckmate is the name given to Snooper sat navs designed for trucks and large vans. The Truckmate allows you to enter your vehicles dimensions so you are only routed along appropriate roads. The choice of mapping preloaded to the device includes either UK and Ireland or full European mapping. These maps are FREE to update for the lifetime of the product. 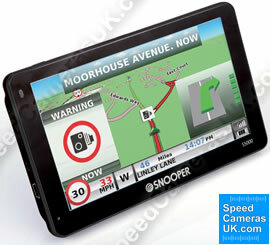 Snooper also do a sat nav for caravans and motorhomes. There are six models in the current Snooper Truckmate range. These are the DB8500, S8000, S6400, S5000, S2500 and AVN S9000. The DB8500, S8000 and S6800 all have a 7-inch screen. Whereas the SC5900 DVR has a 5-inch screen and the S2500 features a 4.3-inch screen. The top of the range system, the DB8500 features a DAB Digital Radio and Digital TV. The S8000 includes a DVB-T Digital TV. All Truckmate models include postcode search and turn-by-turn navigation and multi-route planner with up to 10 different destinations. They also all include Junction View and Lane Guidance which both aid you when driving along motorways. The Truckmate includes speed limit alerts known as MY SPEED. This feature will tell you the speed limit of every road regardless of whether there is a speed camera present or not. Optionally, you can also add speed camera locations database to your device known as the AURA database. 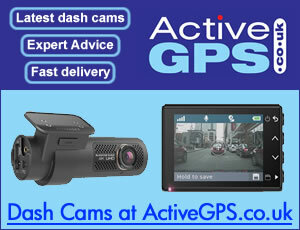 This database includes fixed and mobile speed camera locations. The Truckmate allows you to input the dimensions of your truck or large van. Knowing this information, the Truckmate sat nav will only route you along appropriate roads considering width and height restrictions and other hazards such as narrow roads affecting trucks and large vans. Saving you time and fuel from having to turn around and/or make a detour, or worse damage occurring to your prized home on wheels. The Truckmate satellite navigation systems include FREE lifetime map updates and are preloaded with a choice of either UK and Ireland or full European mapping. If you drive for a living you will know the importance of needing to know exactly what lies ahead with accurate and reliable information being a must to ensure that you get to your appointments on time. Snooper's TMC information is provided by ITIS probably the best traffic information provider in the UK. Traffic information is fed from 100's of thousands of vehicles and sensors across the country providing up to the second information. It's reach and accuracy is far better than those systems that use fixed sensors only providing a considerably higher level of service. Snooper Truckmate Pro TMC service available on all Truckmate models (with the exception to the Truckmate AVN S9000) will alert you to all traffic incidents across the country and lists them in distance order from your current position. As well as this overview however you can also choose to monitor traffic incidents that are specific to the route you have programmed on the system. And, if there is congestion on your route you can simply ask the Snooper Truckmate Pro to automatically find a route around it. Snooper Truckmate Pro is equipped with Bluetooth Handsfree Technology so that if you do have to take a call whilst you are on the move you can do so safely, with both hands still on the steering wheel. The Bluetooth feature is not available with the Snooper Truckmate S2500.